Nara-- the ancient capital of Japan. 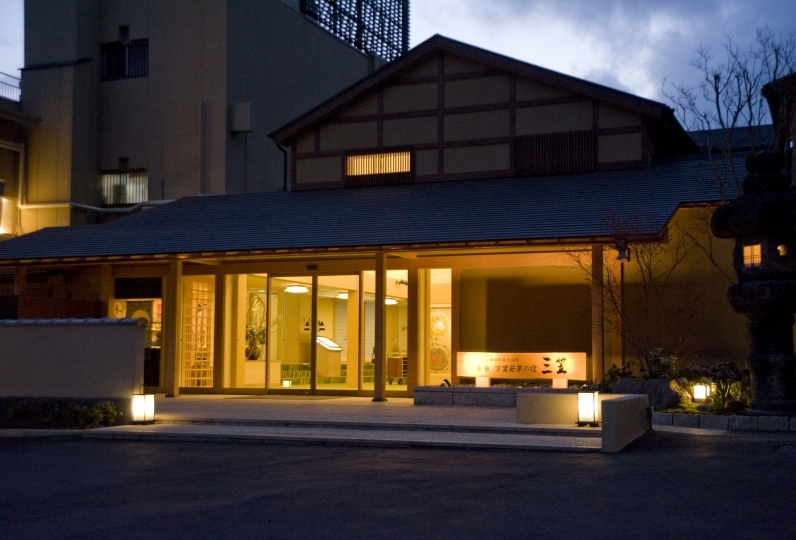 Kotono Yado Musashino is a rare inn that situates within Nara Park. It first started as a small tea house that earned the affection of literati and politicians. 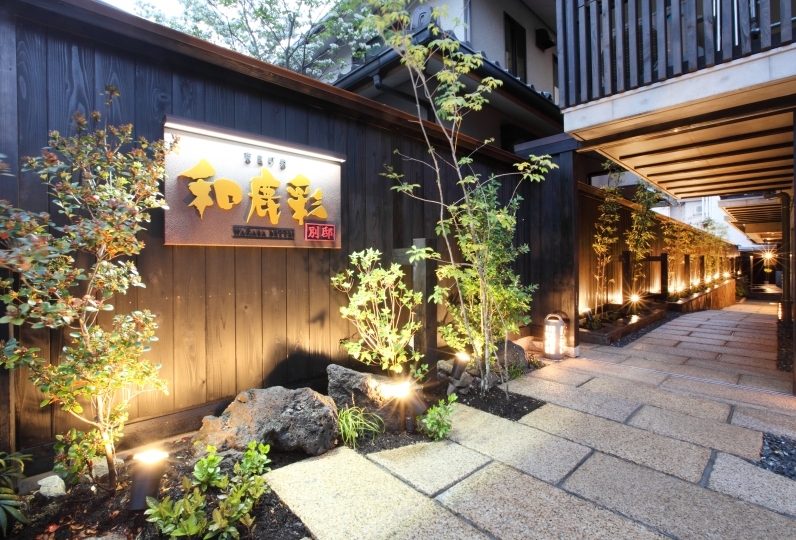 As the oldest inn in Nara, the hotel's fame remains unchanged. You're invited to pass through the gate where history, tea, and our chefs' seasonal sweets welcome you. 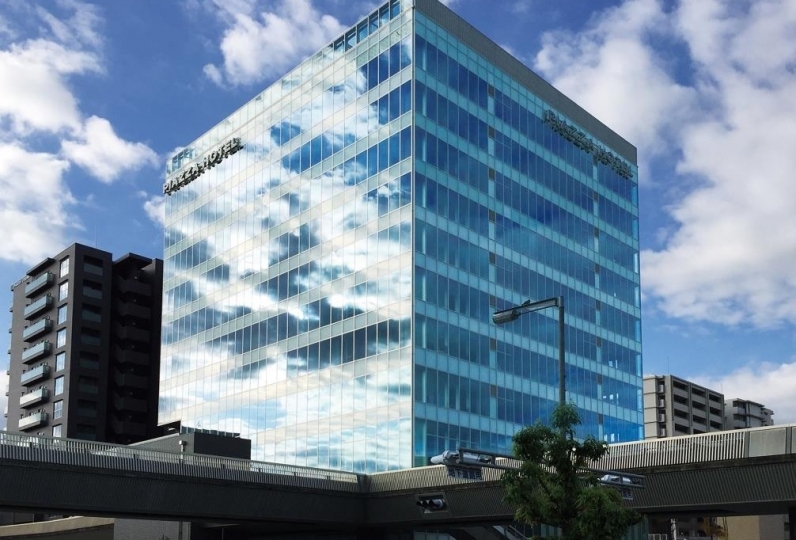 You're sure to notice the brilliant flower arrangements when you take in the view of the building. The owner makes sure each arrangement harmonies with the season. Each room is unique and has an underlying theme of peace overlaid with the ever changing nature of Nara Park. The rooms feature a wooden ceiling that is shaped like the bottom of a boat with high center and a relaxing wooden deck. The bathroom has a faint woody fragrance. 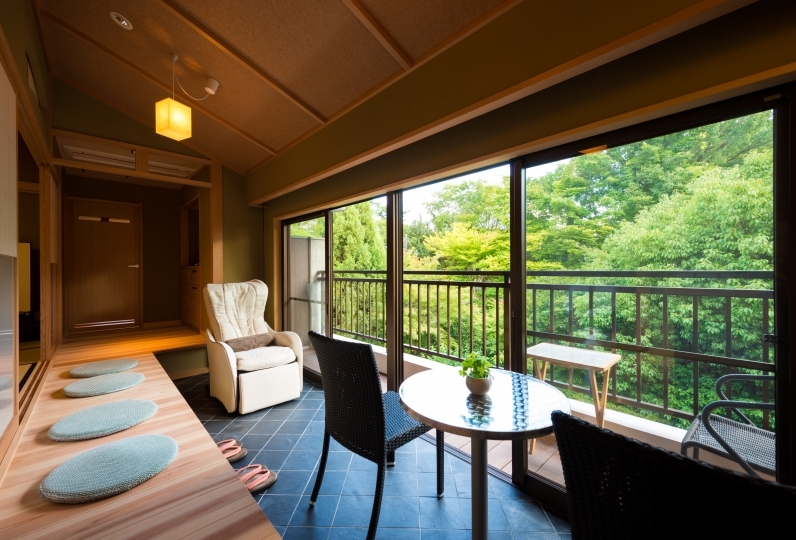 Please relax in the bath while enjoying the breeze coming from Mount Wakakusa. We also have a family bath prepared for you! Dine in the warmth of your room. Our classic course uses seasonal ingredients from Nara Prefecture will no doubt make you smile. We can prepare your breakfast as a lunch box. Carry your pipping hot lunch to Mt. Wakakusa and eat while its invigorating breeze blows. The primeval forest houses large herds of grass grazing deer. Why not take a break where there's warm hospitality and the historical Kasuga Grand Shrine and Todaiji Temple are nearby? I wanted to know the explanation of breakfast explanation (Tsuyu noodle?). There was no reply to the question entered at the time of reservation, so I was worried whether I could make a reservation. I wrote as a family bath, but there was a luxurious bath in a rustic room, there was a drink in the lounge, it was a very happy trip. It was nice to have both rooms eat in the two meals. Thank you for taking care of yourself. Though it may have caused you trouble with your baby, thank you for taking care of your polite care. Thanks to you, I was able to refresh by having a relaxing time. I was very worried that my child was not noisy, but the staff were kind to me and the children were happy. Everything was delicious with a lavish meal, which was extremely elegant, because we could relax slowly with room meals. The bath was small, but the number of people who can stay is small, so we could relax without being crowded. We had lunch box at Wakakusa mountain for breakfast but we could have a very luxurious morning. I still want to use it. A bath whose name comes from the breeze that blows from Mount Wakakusa. Shigaraki ceramic tiles decorate the bathhouse walls with images of flowers and wind. Enjoy the breeze and sunlight that come spilling through the bamboo fence. This bath holds up to three people. Reservation required. 40 minutes for 1,000 yen. Only for guests staying at Kameisan Manor. Enjoy an espresso on the terrace as light music plays. We also offer local Nara sake tasting. Our inn has a long history of writers and artists such as Tanizaki Jun'ichirou and Yamaoka Tesshuu, who stayed regularly. Enjoy water overflowing with richness and an antique cypress bathtub while being surrounded by the happy faces of your family. After your bath you'll feel a connection with the old capital. The building is not completely barrier free, however some rooms on the first floor have impediments removed. If you would like to use these rooms, please let us know beforehand. We do not provide wheelchairs however they can be used inside the building along with canes.